This translation has been in the works for an entire year, in spite of its short length. We’re proud to present it to you in Kindle now, with a dual language paperback soon to follow and epub versions later this year. Please see the first book trailer here. A heartwarming tale of love and friendship in a time when no one could imagine anything but war. 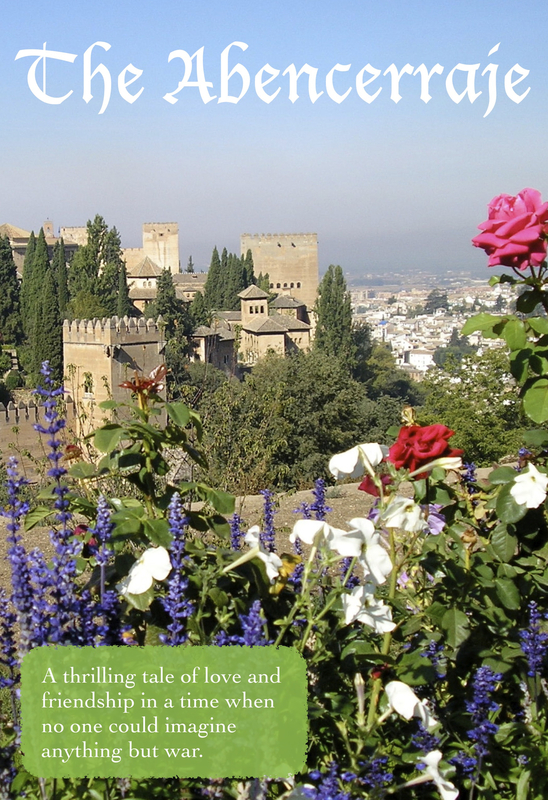 This is a classic story of the exotic landscape of medieval Spain, written about 1551, in a new, easy to read English translation. Abindarráez is so in love with beautiful Jarifa that when he is taken prisoner by Rodrigo de Narváez, he asks to be freed for only two days so that he can marry her. What happens next shows that love and friendship are stronger than war, even during the final stages of the the Reconquest of Spain. The translation tries to transmit all the meaning and charm of the original while untangling its complex syntax. Don’t miss the opportunity to read this enchanting book in English! Endorsed by Independent Judge of Niceness Stanley Coombs. This book is participating in the Kindle Select promotions, so please borrow it. It’s no cost to you! It will also become free to everyone on selected days during the next three months, so watch for those announcements.